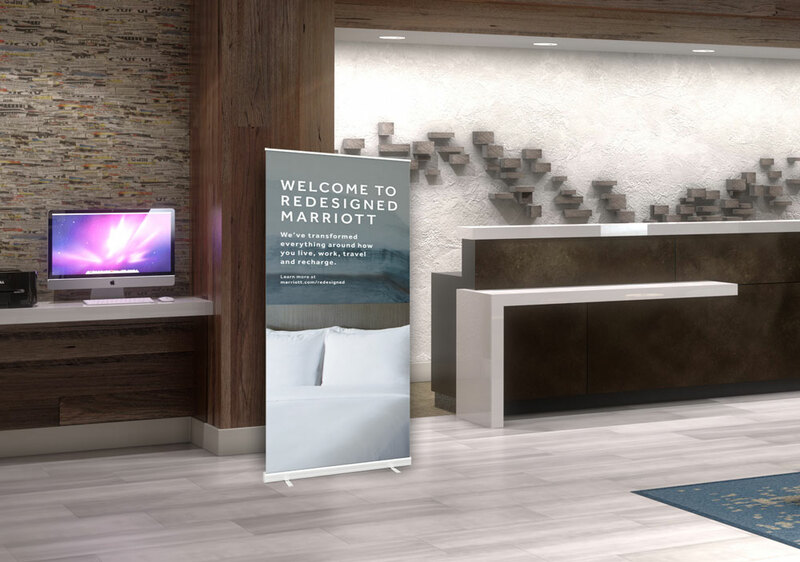 Pre-Arrival: Marriott members will receive an email announcing the recent renovations–each property uniquely inspired by their own environment, culture, and guests. Arrival: Window clings highlighting the transformed property will greet guests as the enter the building. Check-in: Key cards and key packs will highlight some of the unique design details you will find at a Redesigned Marriott property. Messaging puts the guest at the center of the entire experience. Common Areas: Stand-alone banners highlight the transformation. In Room: An artfully designed set of postcards are placed in every room. 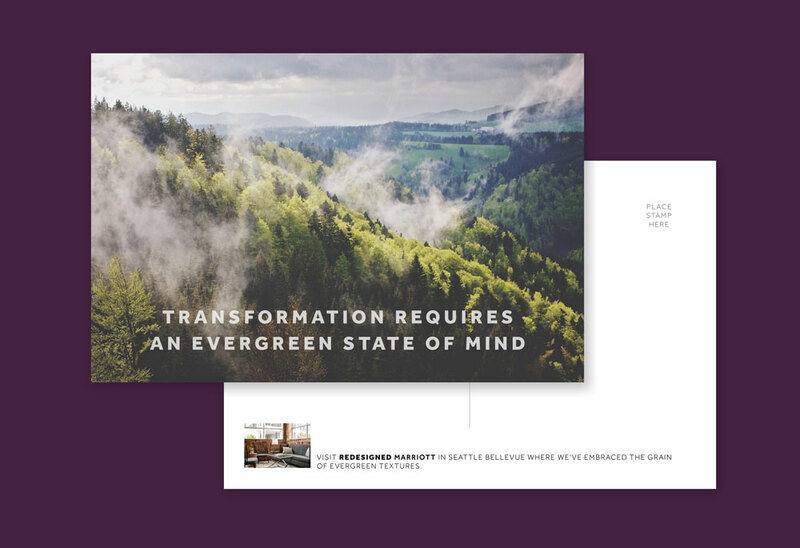 They not only promote the properties involved in the renovations, but apply evocative messaging and imagery to connect with guests on a personal level–encouraging them to take the packet when they leave and share or display for others to see. 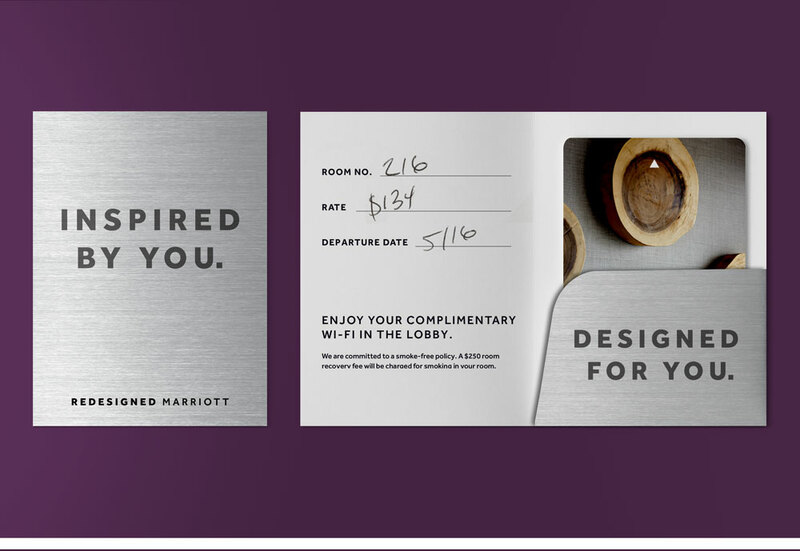 These cards remind the guest of their unique experience at Redesigned Marriott long after they check out–and encourage them to visit another property on their next journey.